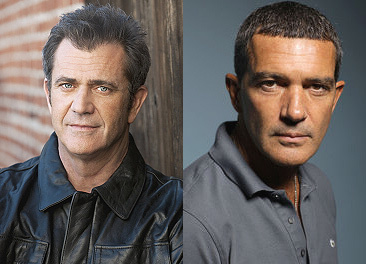 Mel Gibson and Antonio Banderas have joined the growing ensemble cast of Sylvester Stallone’s action sequel The Expendables 3. Long rumored to join the project, Mel Gibson will in fact play the villain role in the upcoming sequel. Sylvester Stallone’s Assassins co-star Antonio Banderas will play a yet-unknown role, reports Entertainment Weekly. In addition to Gibson and Banderas, the cast so far includes Stallone, Harrison Ford, Jason Statham, Kellan Lutz, Victor Ortiz and Ronda Rousey. In The Expendables 3, Barney Ross (Stallone) and his team of old-school mercenaries embark on another clandestine operation for the CIA. Australian director Patrick Hughes (Red Hill) will direct the 3rd installment of Lionsgate’s ensemble action franchise. The Expendables 2 grossed over $300 million at the worldwide box office. Gibson will also play the bad guy in Robert Rodriguez’s upcoming sequel Machete Kills and is rumored to have a cameo role in George Miller’s upcoming reboot Mad Max: Fury Road. The Expendables 3 will arrive in theaters on August 15, 2014.